The winter season is fast approaching and all you skiers out there are probably wondering where to go this season. Looking for some advice? We went straight to a true expert and consulted freeride skiing legend and “Best Freeride Skier of the XXth Century” (according to the Board Awards in Paris), Dominique Perret. 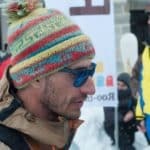 Dominique is not only one of the pioneers of freeride skiing but he is also the founder of ISTA, an avalanche training program for backcountry enthusiasts that is being implemented and taught in many resorts in the French, Italian and Swiss Alps. And guess what? 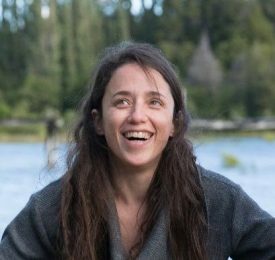 According to Dominique, who has skied everywhere in the world (from Alaska, to Chile, to Everest! ), the best resort for freeride skiing is actually quite close to (his) home: it’s Verbier, in the Swiss canton of Valais. “I believe Verbier is the best ski resort for freeride skiing because you access absolutely amazing terrain very easily. 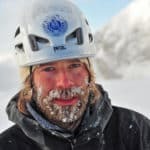 You go off the lift, off the gondola, and you have steep terrain, you have glaciers, you have chutes,” said Dominique during a recent interview with Explore-Share. “So to me, as a ski resort, it’s just fantastic”. Known for its great variety of terrain both within and outside of boundaries, Verbier is also a charming town, with a great after-ski scene! Dominique also appreciates that “there’s a very good crowd, very nice people”. Dying to know more? We have put together this super complete guide which contains all the key info to start planning (and day-dreaming!) your next ski trip. Destination? Verbier of course! And, while you are at it, check out all the freeride skiing trips in Verbier that certified guides offer on Explore-Share! What’s so awesome about Verbier? Verbier is part of the 4 Vallées Ski Area, which encompasses Verbier, La Tzoumaz, Bruson, Nendaz, Veysonnaz and Thyon. Only one ski pass gives you access to 410 km of pistes, making it Switzerland’s largest skiable domain. If you are a freerider, these resorts are not just pretty views: they are the site of many potential adventures! It is here that some of skiing’s most important global competitions take place: from Xtreme Verbier (in March) to the Patrouille des Glaciers (end of April, once every 2 years) to the Freeride World Tour finals. But this is just the beginning… Facing south, the resort benefits from great, sunny weather and a generally mild climate during the ski season, which goes from November to April. Think lots of lunches or apres-ski drinks sitting at one of the resort’s many terraces, enjoying not only the sun but the amazing views on the Massif des Combins, the Mont-Fort (the highest peak in the region at 3330m) and even some of the most famous mountains in the Alps, like Matterhorn (4478m) and Mont Blanc (4810m). Freeride skiing: where to go in Verbier? Although Dominique Perret argues that freeride has always existed (it was all basically freeride before lifts and groomers were invented, he points out), the scene actually exploded in the 1990’s. In Verbier, it was the Xtreme competition (in the beginning reserved only for snowboarders) on the infamous Bec de Rosses that lit the spark. The 3222m Bec des Rosses has made a name for itself among expert freeride skiers and riders. Big, scary steeps and couloirs abound around here and locals warn it is not an environment for beginners or even intermediate freeriders. With its cliffs and dead ends, you really need to know where you are going! So make sure you hire a certified guide if you are planning to venture up there. But in Verbier, freeride skiing is not only for extreme skiers and riders. If you are looking for powder snow and fun runs for all levels, Mont Gelé should be your area of choice. First-timers should probably stick to marked runs and only attempt to access unmarked terrain (by traversing further away from the gondola) once they become more familiar with the area. Recently reinstalled, the gondola that goes to the top of Mont Gelé used to run in the 1970s and provides a charming retro feel that many appreciate. Mont-Fort is another well-known area for freeriders. Stop for lunch at the Cabane du Mont-Fort, which is actually one of the stops on the famous Haute Route between Chamonix (France) and Zermatt (in Switzerland). Lac des Vaux, Vallon d’Arbi and Tortin are other famous areas among freeriders. Generally speaking, Verbier is a great place to give your first steps in out-of-bounds skiing: with long runs and more than 10 marked freeride itineraries, you can try freeride skiing in a relatively safe environment. How to maximize your safety while freeride skiing in Verbier? Well, the starting point to a safe experience is to have the necessary skills to navigate backcountry terrain. An advanced ski level (you should feel very comfortable on black runs) is definitely not enough if you are thinking of exploring Mont Gelé outside of marked itineraries or going for the legendary Bec des Rosses! Hiring a mountain guide to lead the way will not only make the experience more enriching – it can mean the difference between a fun day of challenging skiing outside of bounds and a scary and potentially dangerous day out. A certified guide will choose the terrain best adapted to your skills and also give you some helpful feedback along the way. Take into account that IFMGA is the most rigorous international certification available and a guarantee that the person you are trusting to guide you in the backcountry is an experienced professional with all the necessary skills. Depending on the program, guides charge between 550 and 750 CHF per day. Another key skill you need for freeride skiing is being able to assess avalanche risk and knowing how to operate your gear if you are ever caught in one. This is where ISTA courses come in. ISTA is an international certification system that uses a step-by-step approach to teach you all you need to know about avalanches so that you can enjoy a day in the backcountry as safely as possible. Divided into 4 modules (Discovery, ISTA 1, ISTA 2 and ISTA 3), the courses were designed by mountain professionals and experts in different fields and will teach you everything from risk assessment, to how to use beacon, probe and shovel, to how to search for an avalanche victim. Where can I rent freeride skiing gear in Verbier? How much do ski lifts cost in Verbier? Prices are subject to change so check the Verbier website for updated prices. Where can I stay in Verbier? Cabane du Mont-Fort: ski hut in Verbier, part of the Chamonix-Zermatt Haute Route. Chez Simon: restaurant in La Tzoumaz. Recommended for its local cuisine and families with children. Chalet Carlsberg: restaurant in Verbier. Great terrace and relaxed atmosphere! Le Rouge Restaurant & Après-Ski: at the foot of the Rouge piste, it is also accessible by car or bus. Sunny terrace for lunch, also serves dinner. La Channe: old restaurant in town. Great fondues and raclettes! Carrefour: between the town and the slopes, it serves local dishes in a family atmosphere. – From Geneva Airport: Verbier is 167 km away from the Geneva airport. From there, you can catch a taxi or ski resort transfer and get to Verbier in around 2 hours and 10 minutes. If you want a cheaper option, you can take the train. It takes approximately 3 hours, and you’ll have to change trains once and take a bus to get from Le Chable to Verbier. – From Bern Airport: The airport in Bern is 170 km away from Verbier. A transfer can get you to your hotel in 2 hours and 20 minutes. – Other options include flying into Lyon (3 hours and 40 minutes) or Milan (3 hours and 45 minutes). From the Geneva Airport, follow the A1E25/E62 highway, in the direction of Lausanne. Then take the A9/E62 Autoroute du Rhone via Montreux. Exit at 21-Martigny-Fully and follow the signs for Verbier. What to do besides freeride skiing in Verbier? Options are truly endless here! Hoping to fit some heliskiing into your ski week this year? Verbier is one of the most famous heliskiing spots in the Alps! 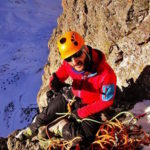 Hire a guide and a chopper and explore some of the nearby peaks including the Petit Combin (3663m), Rosablanche (3336m), or the Pigne d’Arolla (3790m). Make sure you check out all the heliskiing options that certified guides propose on Explore-Share. You could also give Ice Climbing a try or take a day off skiing and go for a snowshoe hike and enjoy the peace and quiet away from the resort’s hustle and bustle. And if it’s a relaxing day you’re after, several hotels also offer spa days that you could enjoy. It really does not get any better than Verbier: a skier’s town with a great after-ski scene, you really cannot go wrong here. And if freeride legend Dominique Perret has no doubts about it, why should we? “To me, it is certain, it is by far the best ski resort in the world”. Wondering what’s the difference between freeride skiing, off-piste skiing and backcountry skiing? Read our very informative post on the subject.